Have you ever observed Buddha’s birthday? 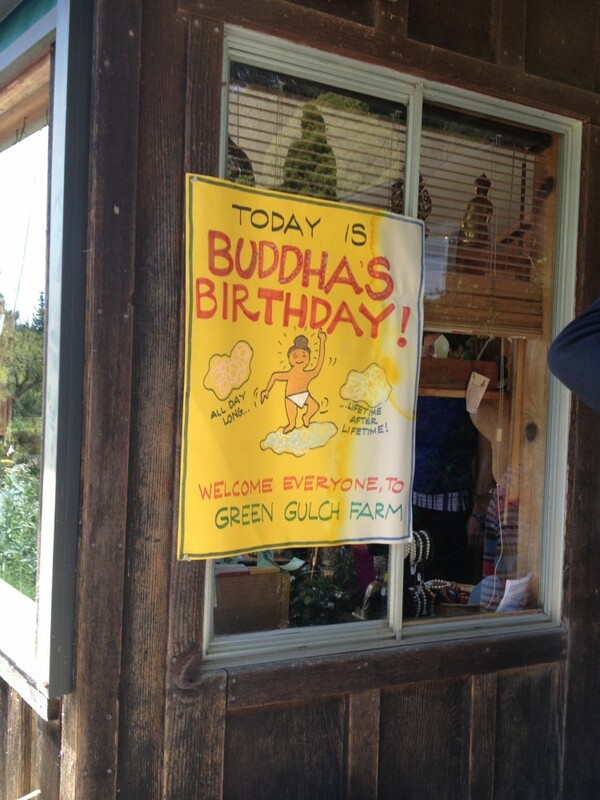 Buddha’s birthday is celebrated on different days by different schools of Buddhism, and on Sunday, April 28, his birthday was celebrated at Green Gulch Farm Zen Center near San Francisco. After driving past Green Gulch for years, on my way to the beach or to a trailhead, I finally stopped. 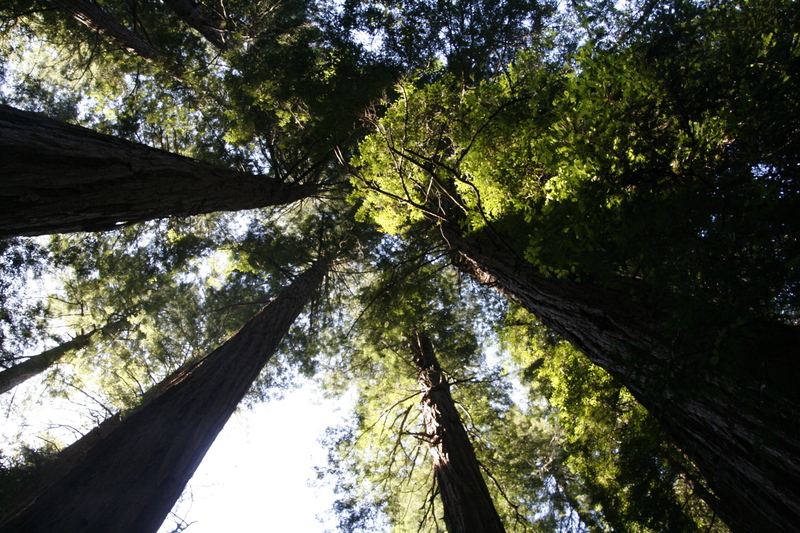 We drove down the narrow dirt road edged by towering redwood trees, parked in the designated visitor lot, and walked toward the center. Although we missed the formal ceremony and pageant, we were in time for some birthday cake and were able to check out the organic plant sale. 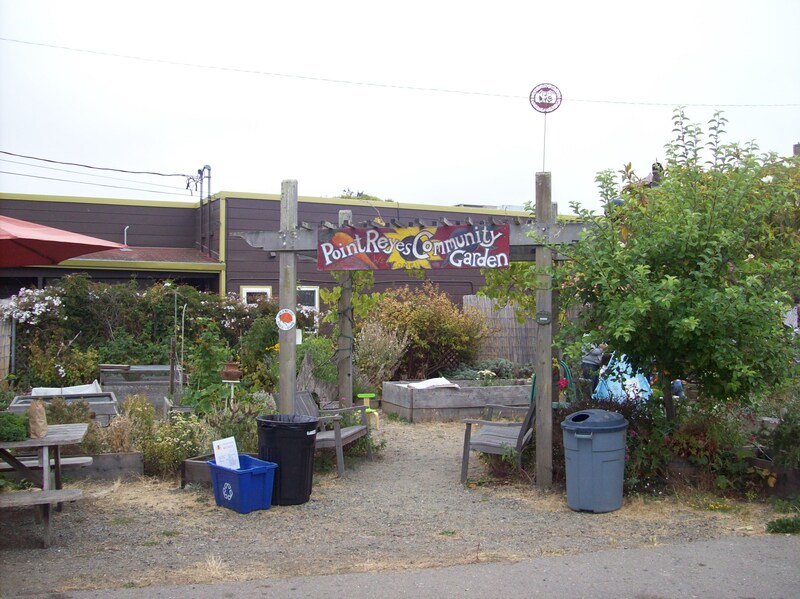 Green Gulch produce and its bread are sold at the farm and at the San Francisco Ferry Building Farmers’ Market from May through August. 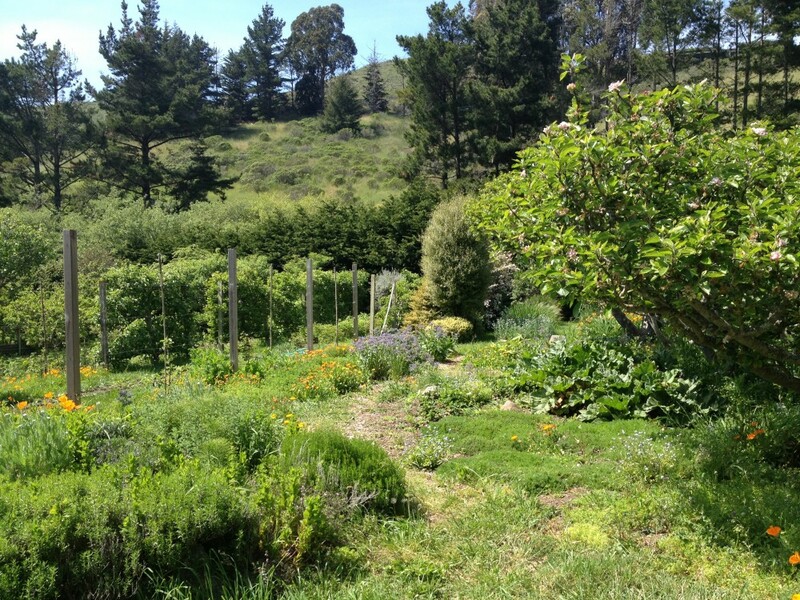 Green Gulch Farm is located on Shoreline Highway about half a mile from the Pelican Inn and Muir Beach. Check out their website for accommodations and for upcoming lectures and programs open to the public. Looking for a gentle hike with spectacular views and a rewarding destination? The Dias Ridge Trail in Mount Tamalpais State Park, a few miles north of San Francisco, meanders just 3 miles from Panoramic Highway down to the Pelican Inn and Muir Beach. As I hiked the trail last weekend, I discovered a few of the 20,000 or more coastal and grassland plants transplanted by volunteers before the trail opened in 2010. Yellow and orange California poppies, pink wild geraniums, purple lupine, white iris, red Indian paintbrush, and even white wild strawberry blossoms brightened the trail. 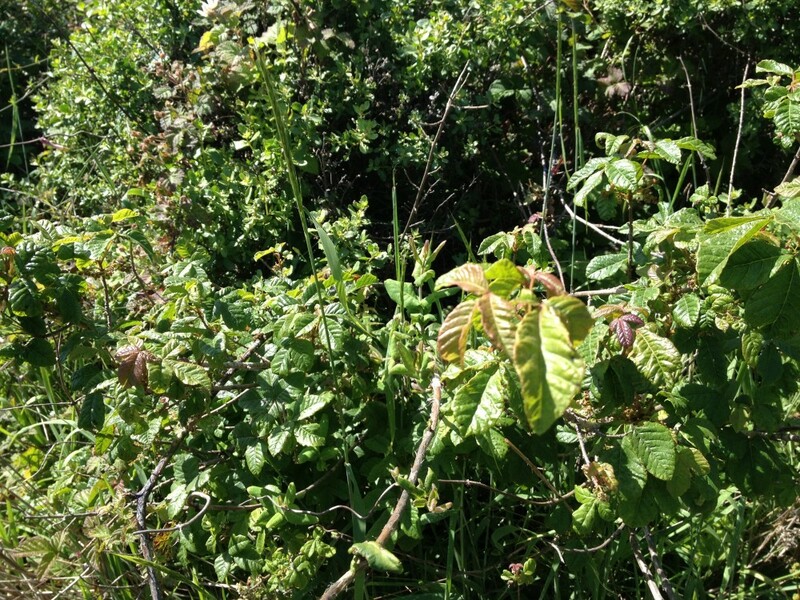 I made way for the mountain bikers, runners, and faster hikers and dodged the abundant poison oak growing thickly among its look alike, the blackberry plant. 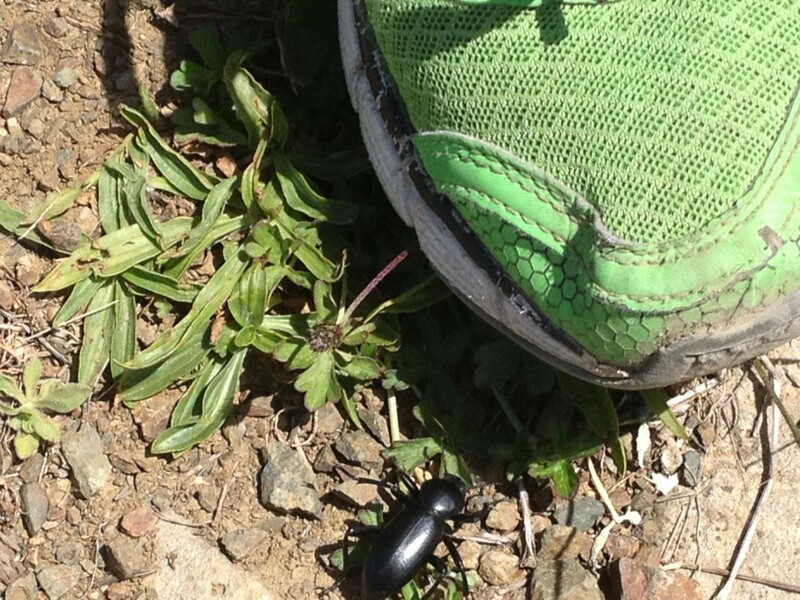 I stepped carefully to avoid a black beetle and watched him scurry across the dirt trail. 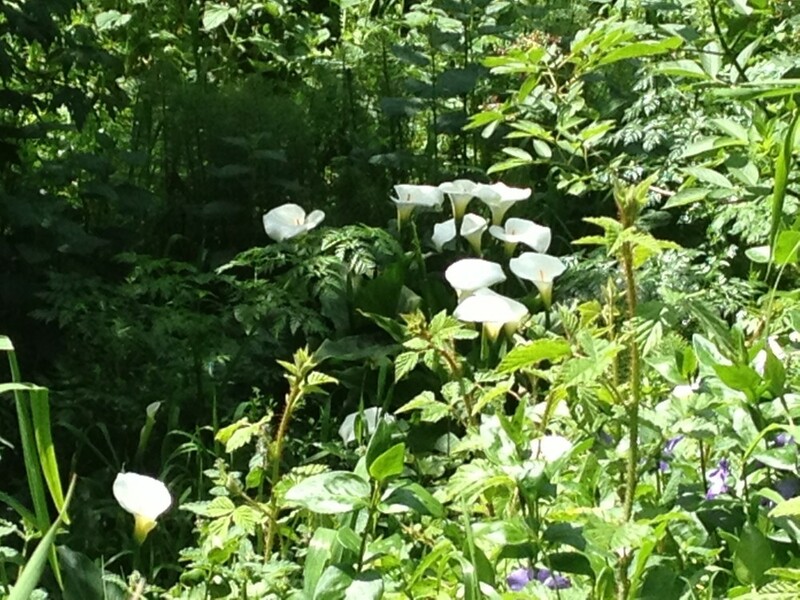 I listened to the sounds of rattlesnake grass when shaken by the wind and discovered that the blooming cow parsnip really does smell like warm corn tortillas. After stunning sights of the Pacific Ocean and the ridge of Mount Tam on this warm April day, we stopped for lunch (fish and chips and a ploughman’s lunch) at the Pelican Inn. Return to your car for a 6-mile (and more rigorous) round trip hike or send someone back up the trail to get the car, as we did. 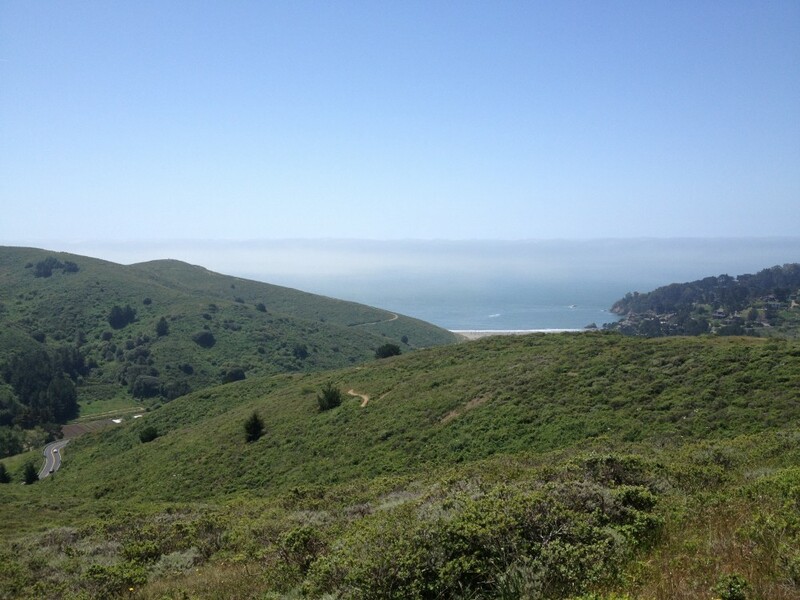 Muir Beach is only a short hike from the Pelican Inn. 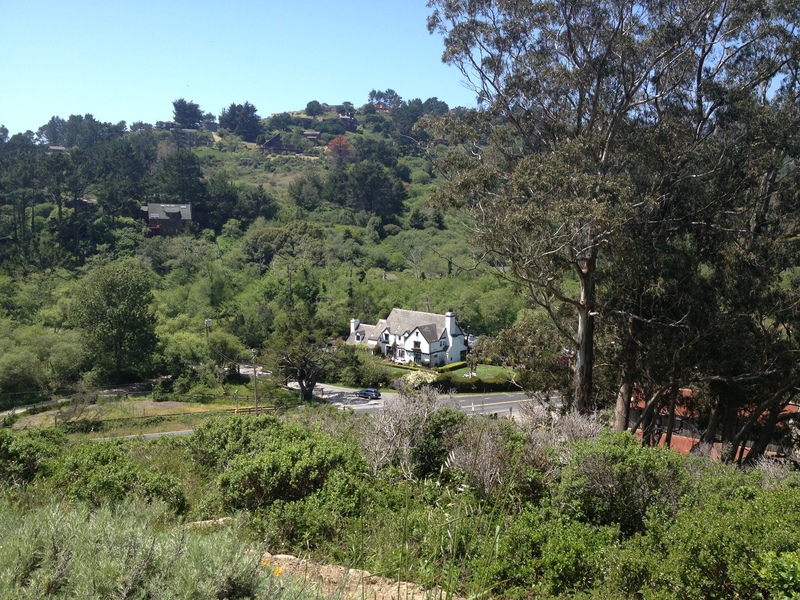 If you go, follow Shoreline Highway from the Mill Valley/Stinson Beach exit off Highway 101. Turn right onto Panoramic Highway and park in one of the dirt pullouts just ahead. Follow the trailhead signs to reach Dias Ridge Trail. 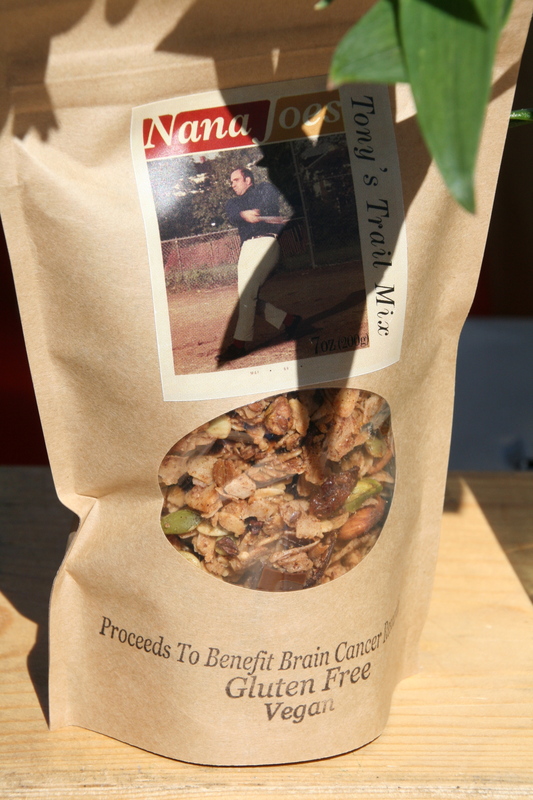 On a recent trip to Marin, I found several gluten-free products available for sample and purchase at the Marin Civic Center Farmers’ Market. Besides fresh strawberries, peaches, and other fruits and vegetables, my gluten-free daughter and I tasted gluten-free granola, gluten-free scones, and gluten-free cupcakes. We found gluten-free veggie burgers, kettle corn, and gluten-free tamales. 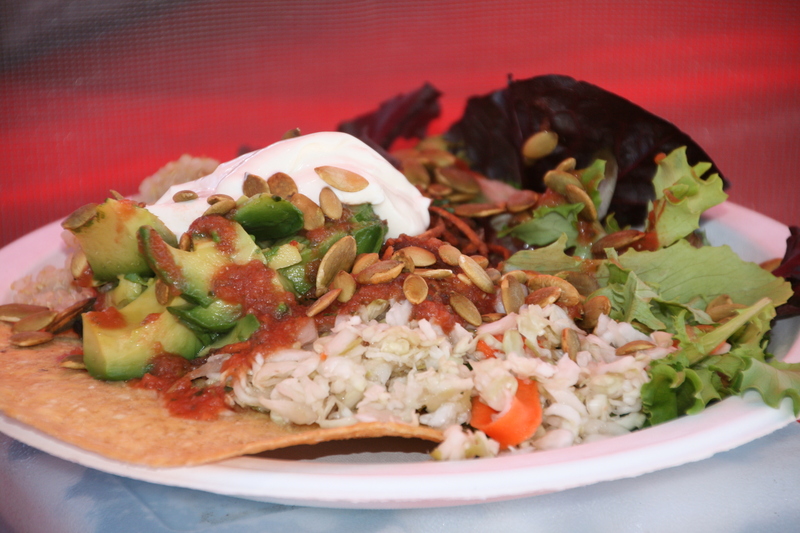 Next time you’re in San Francisco or Marin, consider going to a farmers’ market for lunch. 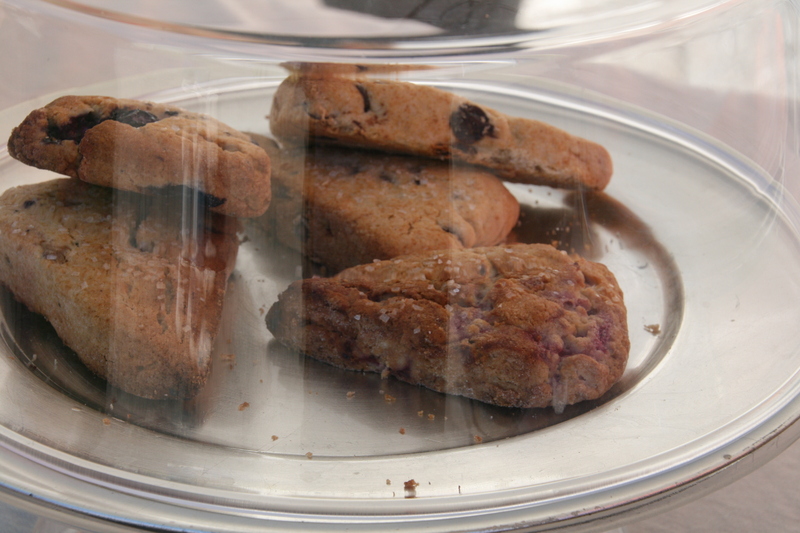 You’re bound to find something that’s not only gluten free but yummy and locally made as well. 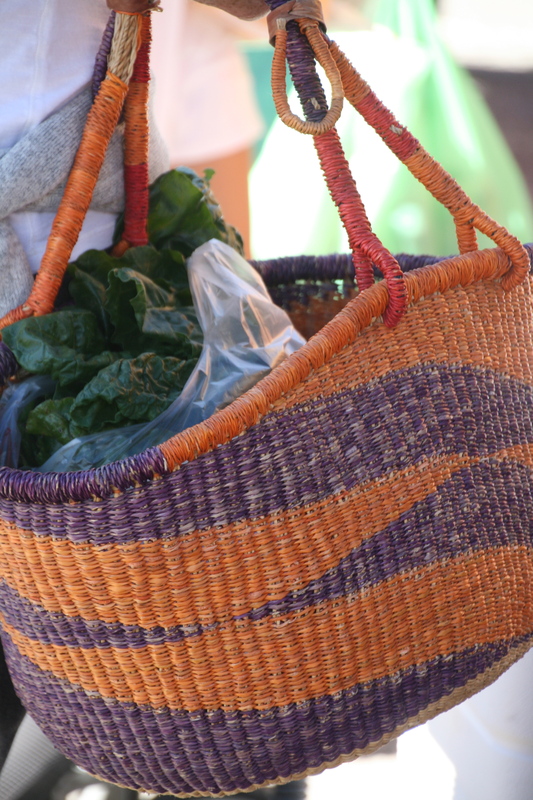 Although a few Farmers’ Markets are now appearing in New England over the winter, from November until March, we wait for things to grow. 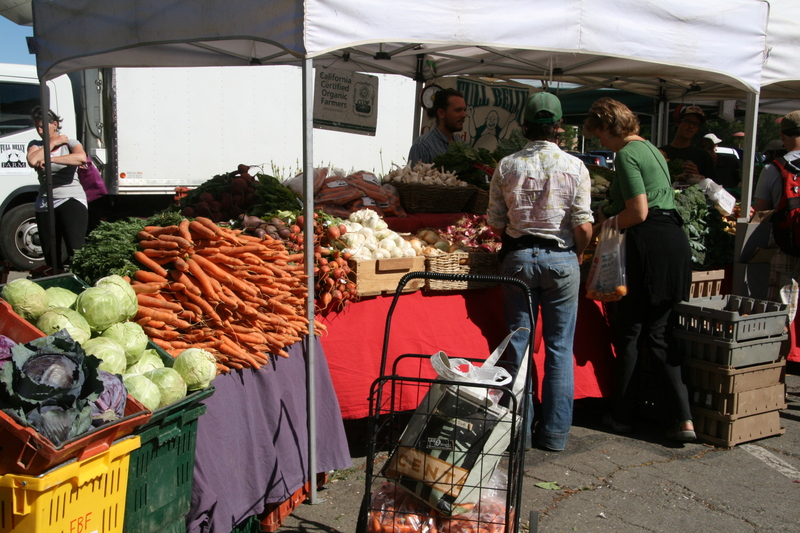 But in California, where an abundance of food grows all year long, the farmers’ markets never end. 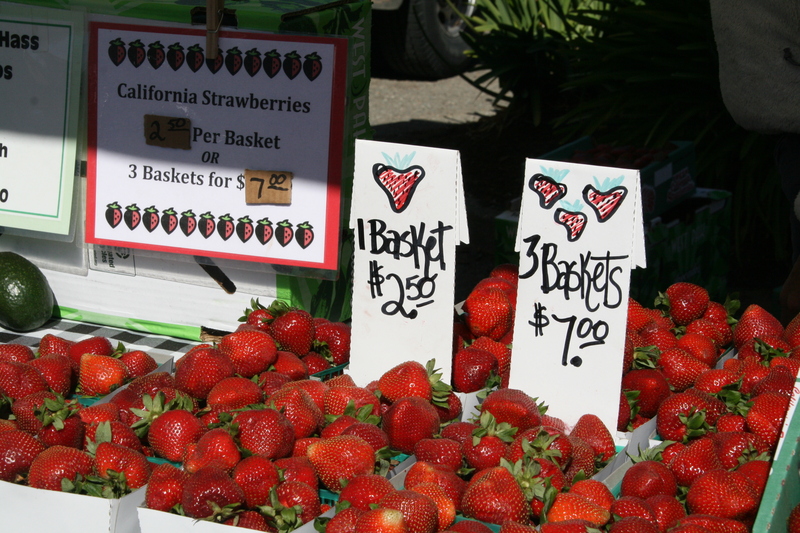 If you’re lucky enough to live in or visit San Francisco or Marin County, just across the Golden Gate Bridge, you have your choice of farmers’ markets every day except Mondays. For a complete schedule, click here. 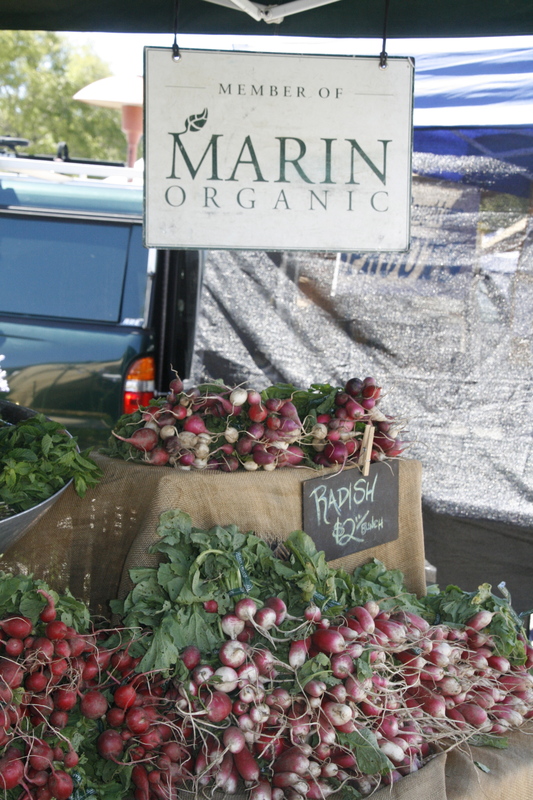 On Tuesdays, you can find fresh veggies in Novato, Tam Valley, San Francisco Ferry Plaza and San Francisco Marina; on Wednesdays, in Corte Madera and Fairfax; on Thursdays, at the San Rafael Marin Civic Center, San Francisco Ferry Plaza, in Downtown San Rafael, and in Downtown Ross; on Fridays, in Mill Valley. 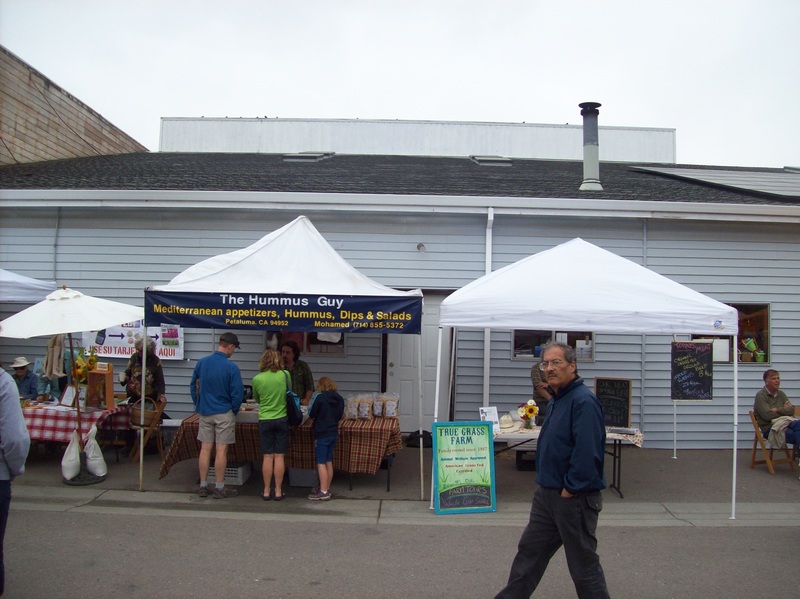 During the weekend, you’ll find Farmers’ Markets in Larkspur Landing, Marinwood, Point Reyes, San Francisco Ferry Plaza on Saturday and on Sunday, in Sausalito, San Rafael Marin Civic Center, San Francisco Fort Mason. 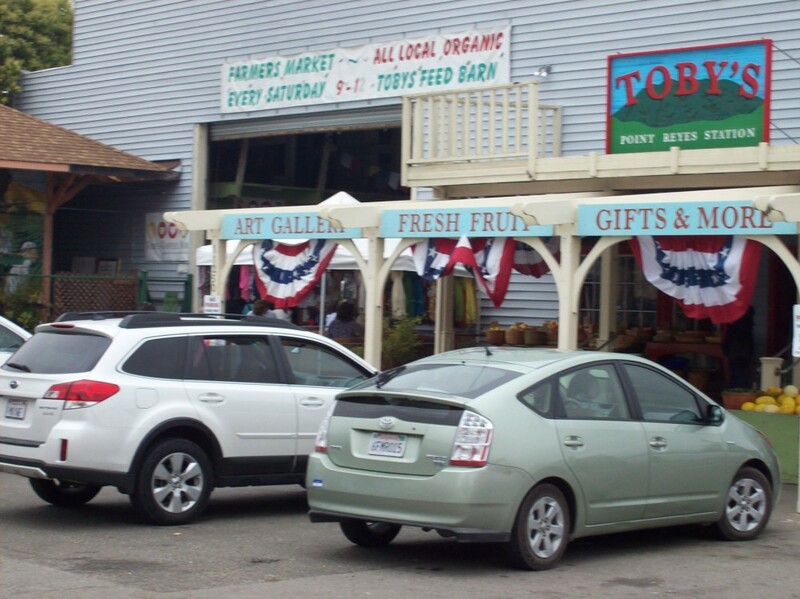 I often visit the Farmers Market in San Rafael. I love to see the booths overflowing in color and texture, the flowers, the vegetables, the fruit. I like to sample the local food I know I can’t get at home, like Donna’s Tamales, locally grown dates, and pumpkin bolani from East and West Gourmet Afghan Food. I like to watch the people and feel the positive energy. It’s been several months. I’m overdue for a trip. My love of color is evidenced by the colors of the home in which I live. My house is red, my car is green, my bedroom is lilac, my bath is aqua. As I travel, my eye is drawn to color. I found red in a hibiscus in Central Park, in the comb of a rooster in South Africa, in the shirt of a man on the 4th of July in Boston, in the strawberries and radishes at a farmers’ market in California. I found orange in the flames of a campfire in New England, in the wings of a butterfly on Cape Cod, in a tower of the Golden Gate Bridge, in a handpainted sign on the Brooklyn Bridge. I found yellow in a meadow in the Sierras, on a New York taxi cab, in a candle in Frankfurt, and in bubbling macaroni and cheese. I found green in the leaves and on the wings of a bird, and on a girl’s sunglasses on the beach. I found purple in the lilacs in front of Louisa May Alcott’s house and inside a hot air balloon. I found blue in the skies everywhere I went. The gas station was bright, the lights were on, but when I slid my credit card through the gas pump’s slot, an error message read, “Pump stopped.” Again and again, the words flashed at me, “Pump stopped.” It was after 9 p.m., but the gas station was just off the highway. It must be open. With only a quarter of a tank, and a rental car to return and a plane to catch, we needed gas. A car hurried into the station, and I watched the incredulous faces as the driver received the same nonsensical message. The lights were on, why weren’t the pumps working? When a mop carrying, curly haired woman moved up and down beyond the window, I drove out of the station’s parking lot, stopping at the nearby intersection, waiting for the light to change. “The trunk is open!” my son yelled. With the car in park and the hazards on, I ran around the car, closing the trunk and the gas cap cover all before the green arrow signaled it was our turn to move. I turned the key. Nothing. The car wouldn’t start; I tried again. Nothing. Glancing in the rear view mirror, I was relieved to find no car behind me in the left turn only lane. I paused, waited a few seconds and tried again. This time the car started much to all of our relief. We turned left and onto the freeway. Continuing south towards the city, I had an idea. Not far over the hill, lights blazed and cars turned. The gas price was low and, more important, the station was definitely open. Being careful to pop only the gas cap and not the trunk this time, I swiped my credit card again and again. Another message flashed at me. “Card declined.” I tried another credit card. “Card declined.” Somewhat oblivious to the lights and noise, I dodged the incoming and outgoing cars and ran to the pay window. A man sat inside the locked, brightly lit store, his mouth camouflaged and muffled by a speaker. “You need to pay with cash,” he said. I ran back to the car and tried again to pump the gas. Nothing. Back at the window, the man clarified, “You need to pay first.” But this is a rental car and I need to fill the tank and I have no idea how much gas it will take, I said. “I’ll give you change,” he responded. Running back to the car, making sure not to make eye contact with anyone, knowing I likely looked like a crazy woman, I grabbed my wallet, found $40 in cash, ran back to the window and gave him the money. This time, the pump worked. I filled the tank and ran back to the window for my $4 in change. Several miles later, we neared the airport. The gas gauge still read full, but the minutes before our flight had decreased significantly. Knowing there was a chance the rental car employee would charge us double or triple for that extra gallon of gas, I decided to risk it. Who knew if there were any more gas stations open? And even if there were, I was out of cash. I knew from experience that gas stations near the San Francisco airport are few and far between. After taking a wrong turn and driving too far to the rental car return, I noticed the gas needle had moved. Would we be charged? We emptied the car, scrambling to get organized, and I gave the agent the keys. Less than a minute later, he handed me the receipt with a smile. The total was zero. No extra charge. We made it through security and to the gate just as the plane was boarding. Next time I’ll add an extra half hour before flight time. The smells and scents of Northern California remind me I’m home, even though I haven’t lived there in over 20 years. 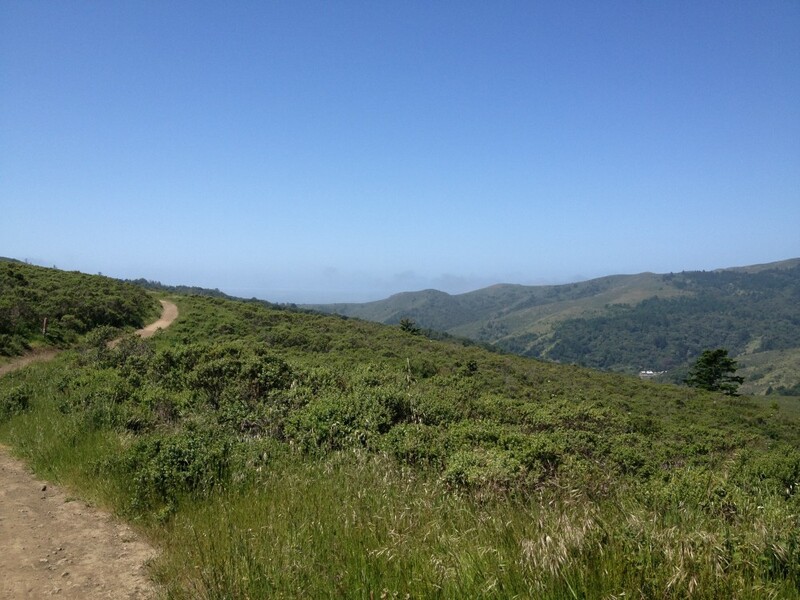 I walk or run along the trails near Mount Tamalpais and the Pacific Ocean and breathe in. 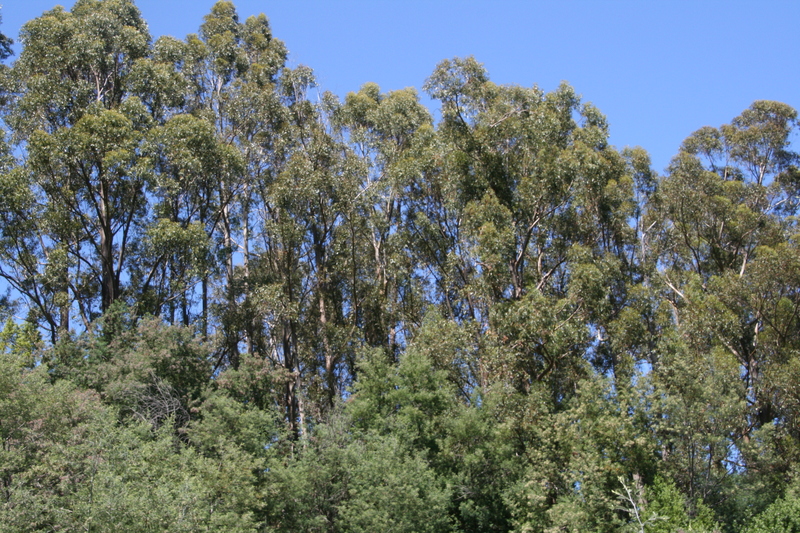 I smell the menthol of the eucalyptus tree, its tall branches swaying high in the wind. 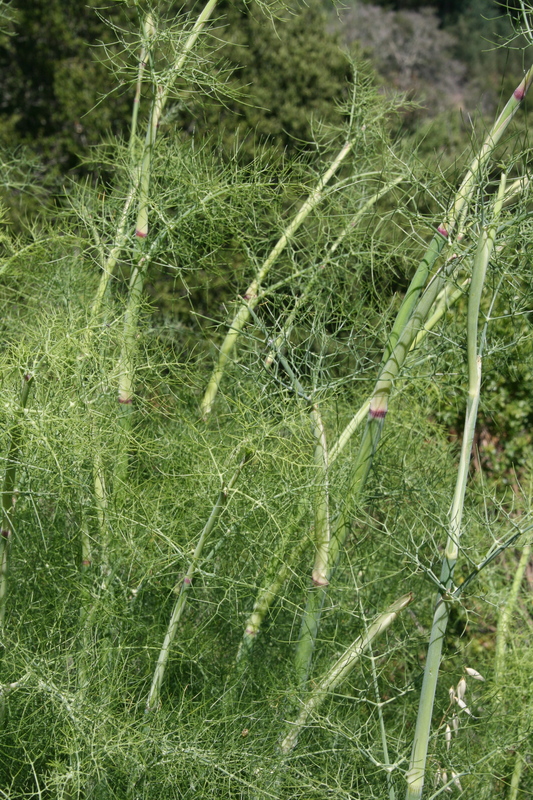 I smell the licorice of the delicate anise bush and remember tasting its fine leaves as I waited for the school bus. 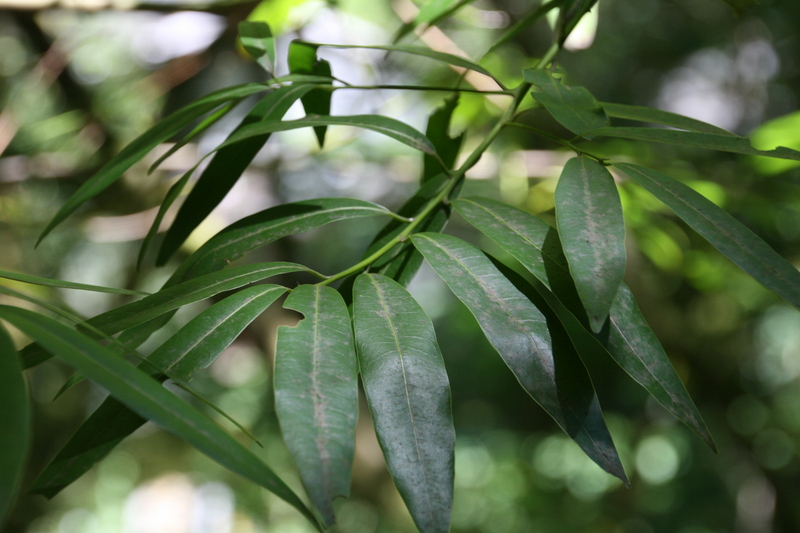 I smell the Mediterranean fragrance of the California Bay Laurel as its leaves surround me on the trail. 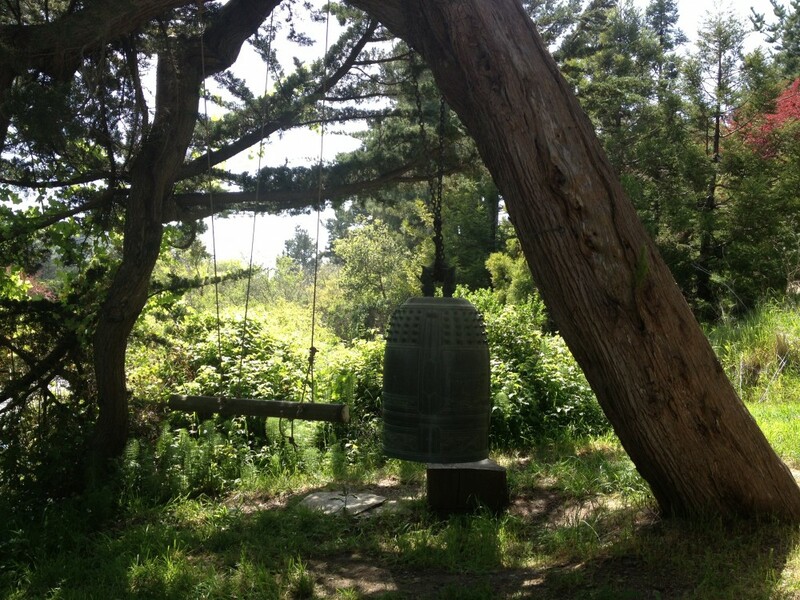 I smell the woodsy dampness of the Redwood tree as I am dwarfed by its statuesque grace. These scents surround me on Mount Tam, in Muir Woods, and in Baltimore Canyon, all just north of San Francisco and the Golden Gate Bridge, and I breathe in. She lured us over with her mystical promises. 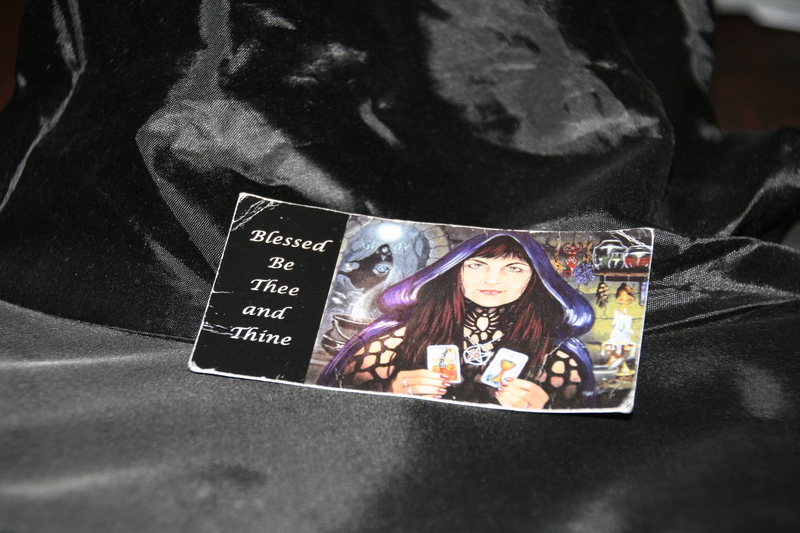 The allure of fortunes and world wisdom beckoned us all, and she spread the cards before each of us, one by one, directing us to ask a question and choose a card and then reading its picture, attempting to interpret its application to our lives. The death card, the queen of love, a card of finance, each of us, listened and smiled as each fortune loosely resembled an aspect of our life. As I sat opposite this serene middle aged woman at a restaurant in Marin County, I noticed her costume. Her black almost purple long straight hair was adorned by a large black hat. She wore a green shirt covered in part by a black vest and black and green striped pants. Rings and bracelets sparkled and jingled on her fingers and wrists and she spoke in a voice reminiscent of the Addams family’s Morticia. She handed me her business card. “I do weddings,” she said. 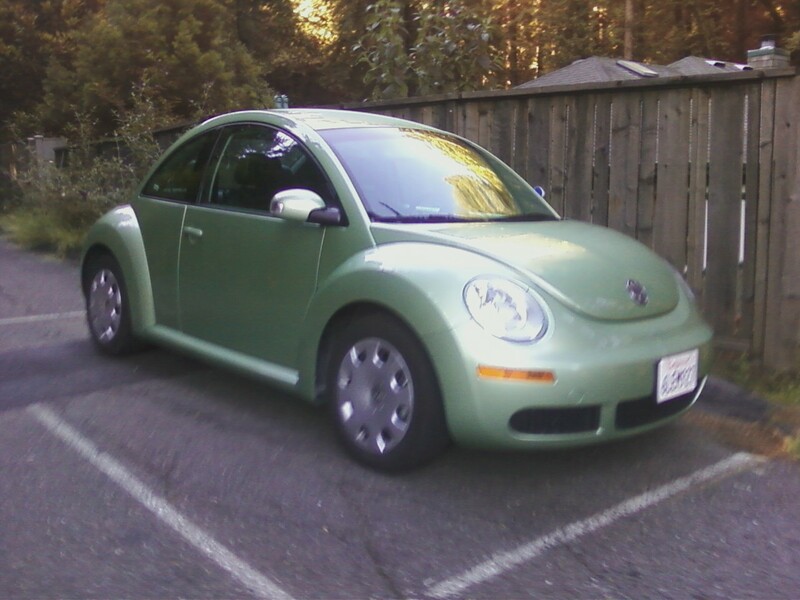 Blurry eyed and fuzzy minded, my daughter and I walked the row of rental cars, determined to drive a better car than the Aveo with crank windows, little suspension, and no vim and vigor we’d rented a few months before. We past a Dodge, a Honda Civic, and a Mazda before spotting a green VW bug a few spaces away. “Mom, can we get it?” my daughter asked awake now and grinning though it was 4 a.m. our time. After confirming the car was available at the price we’d already paid on hotwire.com, we loaded up the trunk with our two suitcases and backpacks and sat inside. Our seatbelts on, I turned the key. Nothing. I turned the key again. Nothing. With help from the car manual (put car in neutral, press on the brake, then turn the key), the car finally started, and we left the rental car area, driving north among the whizzing cars to our final destination and lodging.